A Refugee Travel Document is a travel document (very similar to a passport) issued to a refugee or asylee that allows him or her to travel abroad and return to the United States. U.S. Citizenship and Immigration Services (USCIS) issues Refugee Travel Documents to people with refugee or asylum status (and in some cases to lawful permanent residents who obtained their permanent residence through refugee or asylum status). Are a derivative asylee or refugee. If you do not obtain a Refugee Travel Document before you leave the U.S., you may be unable to re-enter the United States or you may be placed in removal proceedings before an immigration judge. Lawful permanent residents who obtained their status through refugee or asylum status may also apply for a travel document. 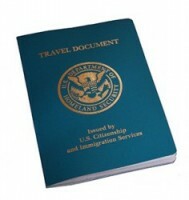 Although permanent residents can generally enter the United States with the green card (after an absence of less than one year), a travel document may be needed to enter other countries. In this way, a Refugee Travel Document is much like a passport. An asylum “applicant” cannot obtain a Refugee Travel Document. Instead, asylum applicants may apply for an Advance Parole Document. Advance Parole allows certain aliens to return to the United States without a visa after traveling abroad. 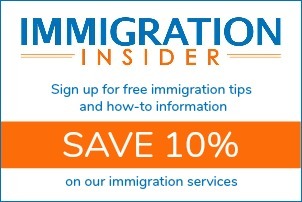 To apply for a Refugee Travel Document, file Form I-131, Application for Travel Document. You should file a Form I-131 before you leave the United States and expect processing times of approximately three months. However, it may take longer. Expedited processing may be available for your situation. Should you need to leave the United States before USCIS grants the Refugee Travel Document or you want to apply for the travel document outside the United States, please consult with an immigration attorney. A Refugee Travel Document is valid for up to one year. During this time you can use the document multiple times. USCIS will not renew your Refugee Travel Document. Instead, you’ll need to apply for a new one with Form I-131, Application for Travel Document. Traveling back to the country where you experienced past persecution or claim a fear of future persecution is highly discouraged.